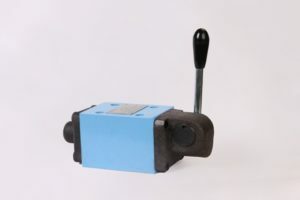 LEVER OPERATED DIRECTIONAL CONTROL VALVE – DCV 10Completely encapsulated control mechanism for protection against dirt. Five chamber design. Flexibility in rotating the operating mechanism by 90° x 4. Wide variety of spools available in sub plate model only.